Removing nail polish doesn’t need to be a hassle. With the right polish remover, you can remove your old coat of color in a cinch and prepare your nails for the next polish. 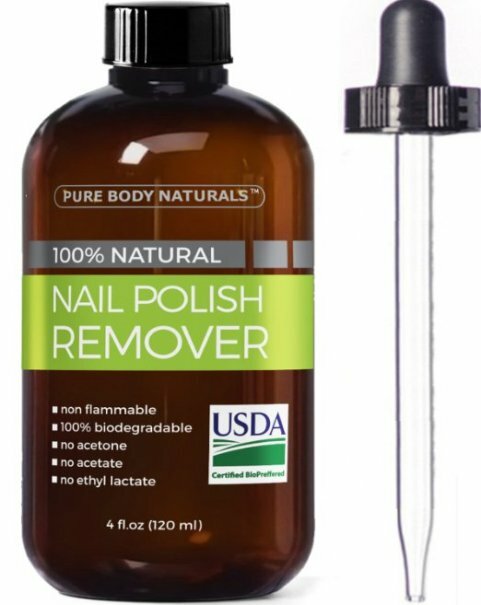 Nail polish remover is a powerful solvent that can quickly remove polish from the nails, cuticles, and surrounding skin. While acetone polish removers work very quickly and effectively, acetone can be very damaging on the nails. It’s best to find a gentle non-acetone nail polish remover (that actually works) to ensure the strongest, healthiest nails possible. This is an Amazon best-seller and has outstanding reviews from professionals and beauty mavens alike. It is recommended by NY Mag, and StyleCaster calls it one of the best gentle and nourishing nail polish removers available. 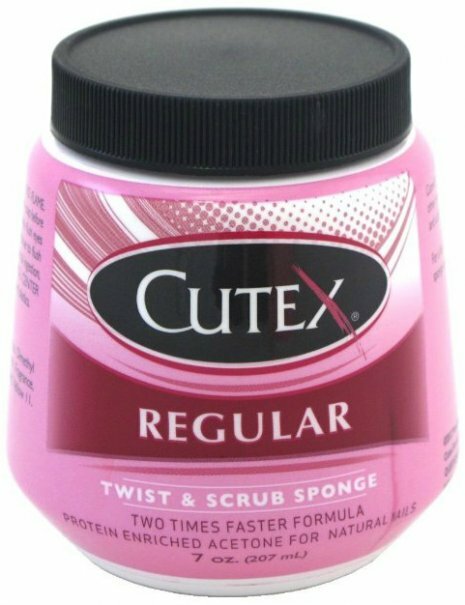 Cutex is the preferred drugstore brand of polish remover, so you should be happy with most of their solutions, but the Cutex Twist and Scrub Instant Sponge is truly unique. All you do is dip your fingers into the sponge and twist to remove even stubborn polish, providing the perfect alternative to traditional nail polish. The breakthrough formula is enriched with protein to gently dissolve polish, even under cuticles. The fast, effective formula is ideal for natural nails and works twice as fast as a traditional polish remover. This offers a great deal because you won’t need to buy cotton pads to use it, like you would with traditional polish remover. It won the Total Beauty Readers’ Choice Award Winner for the best nail gadget. It is also recommended by a number of YouTube vloggers. If you are looking for a more travel-friendly option, consider the Cutex Acetone Finger Nail Polish Remover Pads. The Cutex Advanced Revival Nail Polish Remover is also recommended by NY Mag. If you’re looking for an all-natural, nontoxic way to remove polish, then the Pure Body Naturals Nail Polish Remover is perfect for you. The chemical-free remover is effective at removing polish and will hydrate your nails and cuticles at the same time to promote healthier-looking nails. It is just as effective as traditional nail polish remover and can even remove stubborn UV gel and glitter polishes with ease. The non-acetone remover is made with plant-based ingredients and can actually strengthen cracked and brittle nails. Simply dab a bit on each nail, allow it to sit for 2-5 minutes to soften the polish, and then gently rub the polish off. The nonflammable remover won’t evaporate into the air like most nail polish removers, but can be easily removed with water. It has a gentle natural scent, so you won’t have to worry about the overwhelming fumes of traditional polish removers. This is Amazon’s #1 best-seller in nail polish removers, with more than 3,300 five-star reviews on Amazon. It is also one of the “most wished for” items on Amazon and is backed by a satisfaction guarantee, so you’re bound to be happy. The Sally Hansen Nail Polish Remover can help promote strong, thick nails. It is ideal for all nail types and can help strengthen and fortify soft, weak, thin nails. It can quickly and gently remove even dark colors and glitter polishes without drying out your skin or nails. The salon formula has a special blend of vitamins, protein, and nail strengthening gelatin, which can help soften cuticles and help you achieve more beautiful nails. You can’t go wrong with a Sally Hansen nail polish or polish remover. This is an Amazon best-seller and has outstanding online reviews. StyleCaster also recommends the Sally Hansen Kwik Off Nail Color Remover with vitamin E and Aloe. The OPI Expert Touch Lacquer Remover is more effective than traditional polish removers. It is strong enough to quickly remove even the darkest shades of polish without staining the nail or skin. The nondrying formula leaves cuticles soft and supple. It also has a fruity aroma that reviewers tend to love. This is an Amazon best-seller and has outstanding online reviews. Coming from the popular nail polish brand, OPI, you know it’s bound to work on even the most stubborn nail polish. 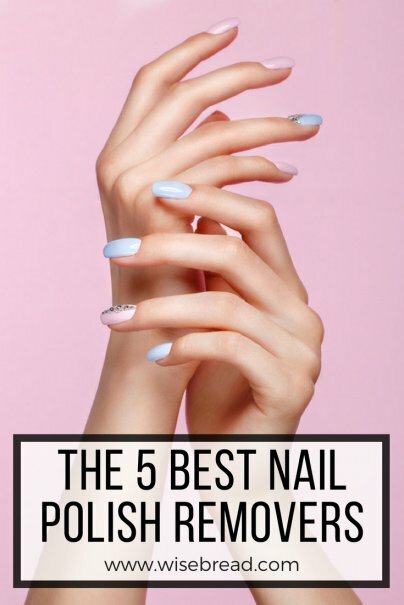 And those are our recommendations for the best nail polish removers. As always, be sure to check Wise Bread's Buying Calendar to learn when and how to buy just about anything!